A branched chain amino acid supplement (BCAA) with vitamins B1 and B6. Created using innovative 4:1:1 ratio of l-leucine to l-isoleucine and l-valine. Recommended before intense training or demanding work. 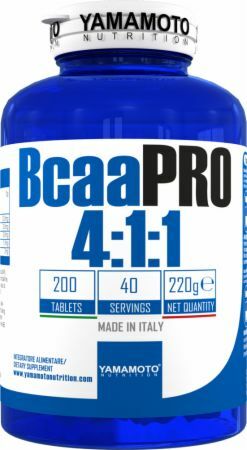 No BCAA Pro 4:1:1 Reviews Found.